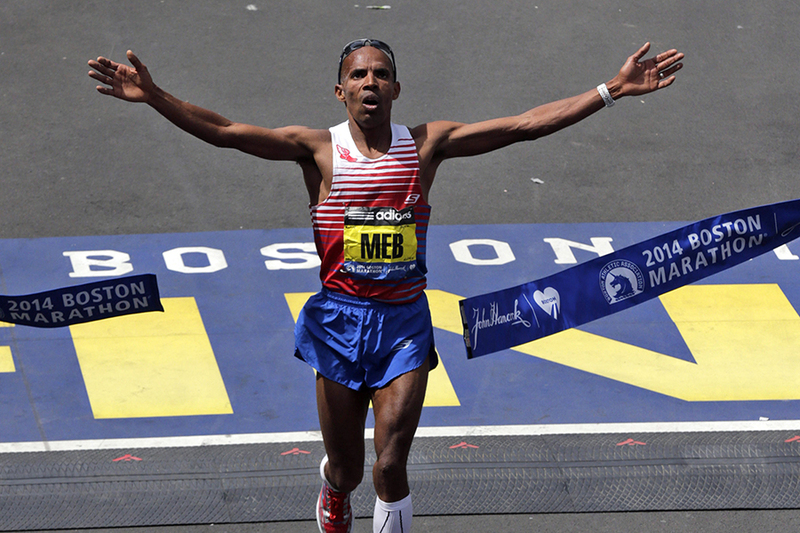 He may have retired from competitive running, but that doesn’t mean Meb Keflezighi is done running the Boston Marathon. The 2014 Marathon winner has announced he’ll be back this year to run for the Martin Richard Foundation, named in honor of the youngest victim of the 2013 Boston Marathon bombings. Keflezighi is one of 115 runners on Team MR8. The group hopes to raise $800,000, and has already raised $635,000, according to the Boston Globe. The foundation, according to their website, “provides opportunities for young people to learn, grow and lead through volunteerism and community engagement.” It also strives “to advance sportsmanship, inclusion and peace”—something young Martin was very passionate about. Martin was eight years old when he was killed at the finish line in 2013. In the days after his death, a photo of him holding a handmade poster that read “No more hurting people. Peace” was shared widely. One year later, when Keflezighi won the marathon, his bib had the names of three bombing victims (Martin, Krystle Campbell, Lingzi Lu) as well as MIT police officer Sean Collier on it, according to NBC sports. That year, Keflezighi crossed the finish line with one of the fastest official times in history and was the first American to win since 1983. This year, he’ll make it back at age 42 to honor the bombing victims and to continue to be a symbol of the Boston Strong spirit.